Wonderful staff members . They really care about your questions and answered honestly. Doctor is knowledgable and kind to take time with young kids. Though glasses are high range but when I put on my glass first time from them I have to admit it that glass made of very good quality anti reflecting coating. I saw other reviews before visiting about prices but really satisfied after care and with glasses. It is little pricey but you got what you pay I believe. This is my first time here. We liked it and definitely recommend this place to others. Amazing service! Very friendly, great communication, easy to get appointments! My husband and I have been going to this center for years. This past year there was a change in providers/owners to Dr. Wooten. She is very personable, intelligent and professional. The staff has always been kind and professional as this has continued if not improved in the past year. Out 13 month old was advised by his pediatrician for a vision exam. We took him to Dr. Wooten. She and the staff did amazing with him and he did amazing with them. It has been a great experience! From the time I walked into the office to the time I left, the customer service was exceptional. Things were explained to me, and the entire staff was knowledgeable not only about eye care but with my insurance as well. I was grateful and look forward to continued business for myself and my family. Thank you — Sherri H.
Everything you ever wanted all in 1 place. Frie... — Nancy O. Everything you ever wanted all in 1 place. Friendly, courteous, thorough and professional service. I felt very well taken care of and everyone there listened to me and explained everything they were doing and provided understandable results of my exam. Dr. Wooten and her staff were terrific! Very t... — Anthony A.
Dr. Wooten and her staff were terrific! Very thorough and knowledgeable! My yearly exam — John P.
My yearly exam was a very pleasant experience. The staff was gracious, patient, professional and personable. Their kindness and thoroughness is greatly appreciated. Dr. Wooten is the best. This is by far one of the best eye care offices... — Tricia C.
This is by far one of the best eye care offices I have been to. Everyone is so nice and helpful and Dr. Wooten explained everything in such an easy way that I was able to make good decisions about purchasing eyewear. They have a great selection of eyewear and it’s resonably priced.  I highly recommend Ironwood Eye Care and I’m glad i found them. Excellent service, wonderful staff, very profes... — Justin R.
A+ Experience — Shaun J. Everyone was very professional & friendly.... — Lauryn D.
Everyone was very professional & friendly. So great with my kids, made them feel comfortable & went above & beyond to help my daughter feel comfortable with her contacts. Absolutely Wonderful — Ashley L.
My girlfriend referred me to this eye care center due to it being super close to my house. I have to say I don’t really expect to be wowed by a doctor visit but I here I am. Extremely wowed by the amazing service I received and the professionalism of this office. Esmeralda is absolutely amazing. Easy to talk to and very helpful with your needs. I was seen as soon as I arrived and out the door in what I think was a very quick time frame with all of my questions answered. I am super excited that I chose this establishment!!! First time at the office. — William J. First time at the office. Couldn't have been better. Friendly and highly competent staff, and Dr Wooten was excellent. Excellent care for my 10 month old daughter! — Hollind M.
Thank you for the caring, patient-focused care you provided to my 10-month old daughter, during her Infantsee exam. 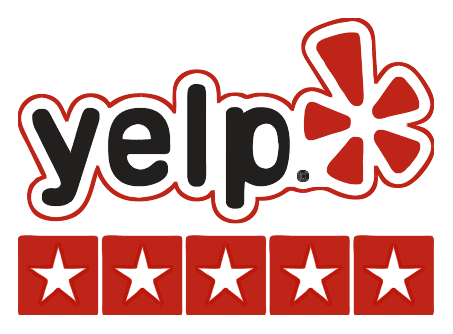 incredibly thorough and informative — Rachel P.
Very Professional, Great Service and Top Notch... — Marie C.
Very Professional, Great Service and Top Notch Equipment. The Entire Staff is very competent and friendly while making you feel at home. The key is their complete and extensive evaluation of your eyes and related eye care needs. Very thorough eye exam and consultation with Dr... — Marcia B. Very thorough eye exam and consultation with Dr. Alison Wooten. It is so nice that pupil dilation is no longer necessary with the technology available in their office! Very nice staff members and clean office. Best practive for your eye care! — Kathleen B. Have been using Ironwood Eye Care for our eye care for many years now, back when Dr. Greene owned the practice. We would go no where else. The staff is always professional and attentive. Rosa has fitted me for glasses each and every time I required a new prescription. She does a great job and I appreciate her. Came to My Rescue — Sheila S.
Being far from home, it was a bit scary when I developed an eye issue that needed immediate attention. The internet helped me find eye care practitioners near where I was staying. The closest place was unable to see me that day, so I called Ironwood Eye Care where I hit the jackpot. They were able to take me quickly and couldn’t have been nicer with the check in process, examination and diagnosis. I would highly recommend this practice.